In this episode I show a comparison between 2 great WAH pedals. Which one do I like best? Tough call. They are both beautiful sounding pedals. I’ll show you a guitar solo section of a song, in which I recorded the same piece with each WAH. 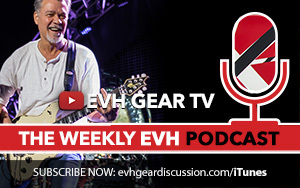 Purchase the EVH Wah from the Van Halen Store Here!